Over the years, I’ve seen many technologies enter the real estate market. For Hawaii, many of these technologies can help listings reach buyers from far and wide, adding exposure that would not have been possible a few years ago. I’ve been a part of those benefits for both my buying and selling clients, and can attest to the value that they add. As a part of my standard listing package, I employ a 3D 360º virtual tour system called Matterport. Using a specialized camera and their proprietary technology, I can create virtual tours through a property which are accessed online by Buyers. Most of the time, this is a great way for potential buyers to revisit the property on their own time or show it off to family and friends. However, in one case, the Matterport tour I created was so good and helpful that a Buyer on the mainland put in an offer without ever setting foot on the island! One benefit of hiring a buyer’s agent is the ability to have discussions while touring potential properties. Sometimes though, schedules can’t line up or buyers aren’t able to physically be there at the same time. Video calls have eased this barrier by allowing agents to walk through the property with clients on the line. In my first couple years as an agent, I helped a mainland buyer find their vacation home by doing video call tours. It was just like they were standing next to me, and they were able to bounce ideas and questions off me as we toured each home. The ability to reach the widest audience is key when marketing a property. However, sending out an email does not always connect with buyers because they aren’t able to interact with you at each listing. Using live streaming on various social media platforms allows potential buyers to interact live with me as I give a guided tour of my listings. Much like video calls, they are able to bounce ideas and questions as I take them around, or share and rewatch after the stream is done. 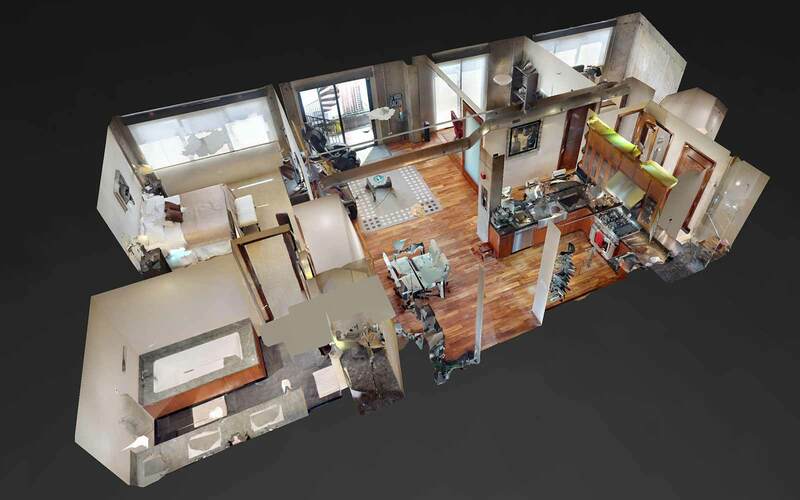 Using various technologies like 3D virtual tours, Skype/Facetime calls, or live streams, buyers are able to preview properties before ever setting foot inside. It’s a tactical advantage that can get listings sold faster and/or for more money!